Cabbage has as many faces as it does leafy furbelows. How could a vegetable be so beloved, so universal, and at the same time so disdained? One of the oldest crops in the world, cabbage has for millennia provided European and Asian peoples with vitamins A and C . . . and babies—a belief lent credence by folktales about infants found “under a cabbage leaf” as well as contemporary Cabbage Patch Kids. Cabbage is both a badge of poverty and an emblem of national pride; a food derided as cheap, common, and crass, and an essential ingredient in iconic dishes from sauerkraut to kimchi. Cabbage is also easy to grow, because it contains sulfurous compounds that repel insect pests in the wild—and human diners who smell its distinctive aroma. We can’t live without cabbage, but we don’t want to stand downwind of it, and in this lively book, Meg Muckenhoupt traces this culinary paradox. 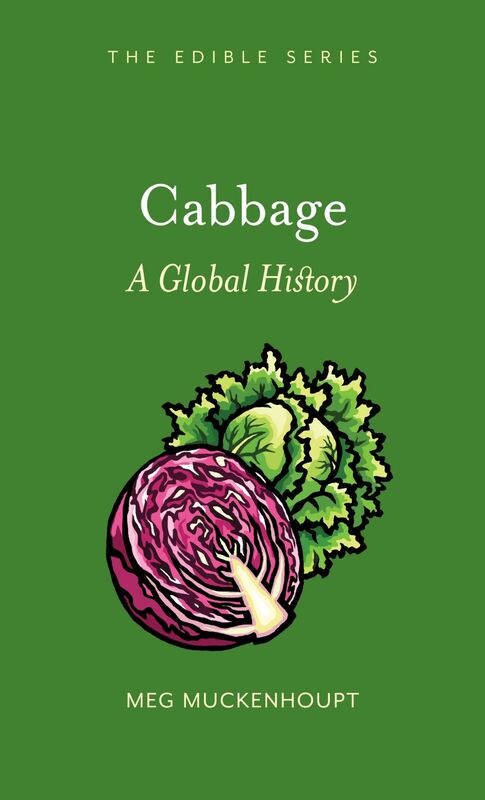 From senators’ speeches in ancient Rome to South Korean astronauts’ luggage, she explores the cultural and chemical basis for cabbage’s smelly reputation and enduring popularity. Filled with fascinating facts and recipes for everything from French cabbage soup to sauerkraut chocolate cake, Cabbage is essential reading for both food lovers and historians around the globe—and anyone craving their daily dose of leafy greens. "Cabbage provides interested readers with a succinct history of the cultivation and culinary uses of cabbage from a global perspective. Myth and lore surrounding cabbage are featured heavily in this slim, stylish volume. Culinary techniques for preparing cabbage are presented in detail, along with scientific discussions of the vegetable's key nutritional properties. . . . Cabbage features illustrations with images of cabbages ranging from historic artwork to twenty-first-century photography, enhancing the text. . . . Another noteworthy work in a remarkable series. Recommended."